There is no better way to explore your destination than eating and drinking your way through it. Taste our local hops and brewmasters’ unique flavors when you taste Yakima Valley’s craft beer. 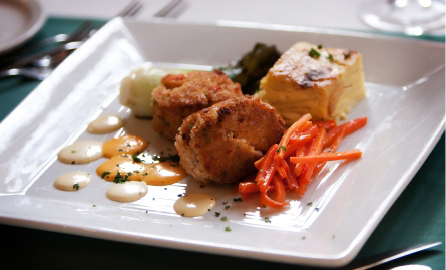 Or, indulge in true farm-to-table cuisine by dining at our onsite restaurant. 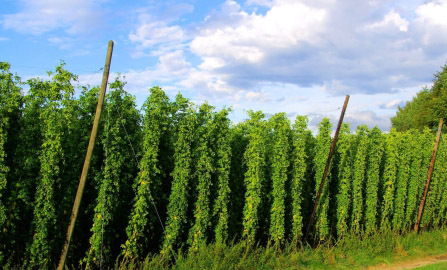 Some of the state’s best culinary experiences are captured in this hidden gem of a town that’s comprised of hops fields and rolling vineyards. Washington’s wine country also has a seat at the table alongside Napa Valley and other famous wine regions as the country’s best. So, sip back and relax at these Yakima Valley wineries for a truly indulgent getaway. 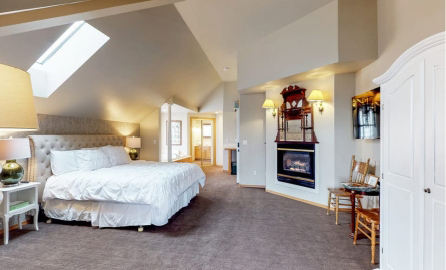 Enhance your Yakima Valley getaway with your Stay and Dine special! Not only does this special save you 10 percent off your room, but it also gifts you $100 toward dinner at our five-star restaurant. Commonly, when people think of Wine Country, regions of California come to mind almost immediately. What about in other regions? Wine is certainly not produced exclusively in California. In the Pacific Northwest, Yakima Valley is the region’s premier Wine Country. Yakima Valley alone produces more than half of the state’s wine grapes, and is home to over 100 wineries. Our area’s abundance of agriculture yields some of the finest wine and farm to table cuisine in the state. That’s why you need to eat and drink your way through your next Yakima Valley, WA, getaway. This Yakima Valley winery opened in 2010 with a mission to make a name for Washington’s sparkling wine. Unlike most wineries, Treveri Cellars considers themselves a sparkling wine house. Treveri wines have even found their way to government functions and other exclusive events. This Yakima Valley winery has grown exponentially since it was established in 2000. What started as an idea between two brothers, Two Mountain Winery is now comprised of three of vineyards. Their Copeland Vineyard produces the majority of grapes sourced to make their wine. The winery is open daily from 10:00 a.m. to 6:00 p.m. You don’t have to miss out on Two Mountain’s wine after your trip, either! Purchase their wine online and enjoy a taste of Yakima Valley at home. Make the most of your getaway to Washington with the finest wine and food. We recommend visiting Yakima Valley wineries for an afternoon of tasting and touring. After all, it’s never too early for wine. Hello, mimosas. Then, come back to your quiet oasis at our inn and begin getting ready for dinner at our onsite restaurant. Fine dining has never been easier than when you stay with us. 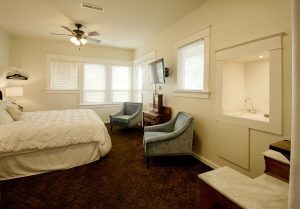 For optimal convenience, book a guest room in our Manor House and be just steps away from your dinner reservation. What’s better than being just a staircase away from the best dining in Yakima Valley? Having $100 gift certificate toward your meal, courtesy of our Stay and Dine special. All of this and more is possible when you book a stay with us at Birchfield Manor Inn and Restaurant. Dream of all your Washington state getaway can be when you request a copy of our complimentary Vacation Guide. This guide is brimming with local recommendations about what to do on your getaway. You have all the tools you need to plan the vacation of your dreams. Now, browse all of our accommodations and book today!